María García (Valdepeñas, Ciudad Real, 1981) holds an architecture degree from the Escuela Técnica Superior de Arquitectura at the University of Granada. 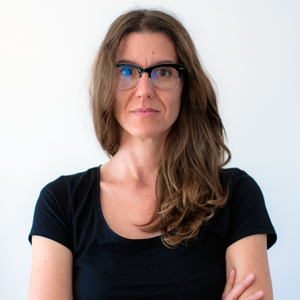 Based in Barcelona, her work has encompassed themes like the relationship between architecture and flamenco, the construction of the city’s image and imaginary, and the representation of territory through hybrid narratives combining image, text and action. Tierras raras will examine the relationships between landscape and singularity. It starts from the gaze on the landscape we belong to and which at the same time lives through us, but with the defamiliarization that comes from belonging to a place that was always alien. Beside this personal experience, the location of the video essay, the countryside of Ciudad Real, has for years been projected as the site of a rare earth mine; rare earth being a set of 17 chemical elements hard to encounter in a pure form. The initiative has caused a degree of social controversy, and the author will explore the tension between the terrain’s economic and ecological worth, between social revitalization and destruction of the landscape.